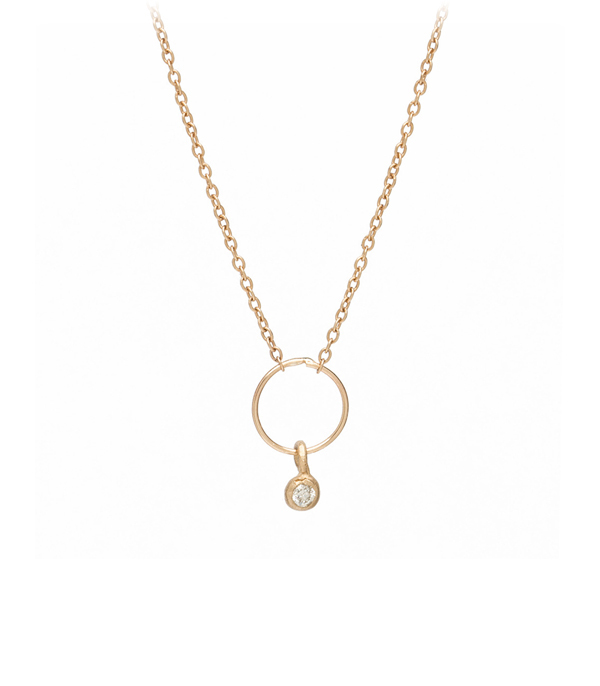 A tiny but perfect everyday piece, this simple circle necklace is accented with a golden dangle and one twinkling diamond. We love the simplicity of this piece when worn alone or layered. Makes a delightful gift for your jewelry loving gf! Finished with lobster clasp. Categories: For the Bridesmaids, Necklaces, Tresor, Under 500.